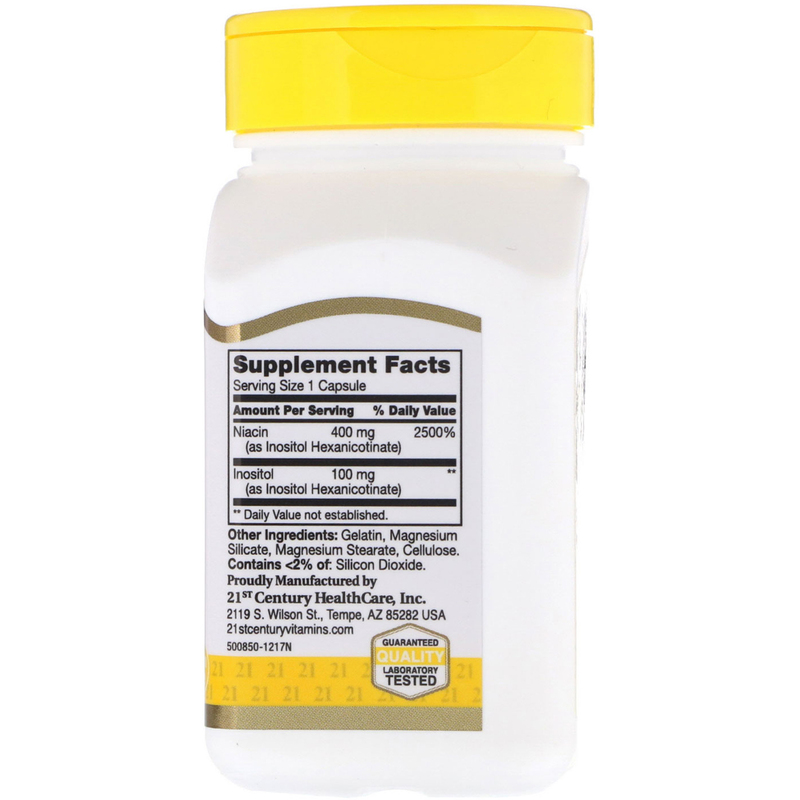 Niacin (Vitamin B3) plays a role in energy metabolism. 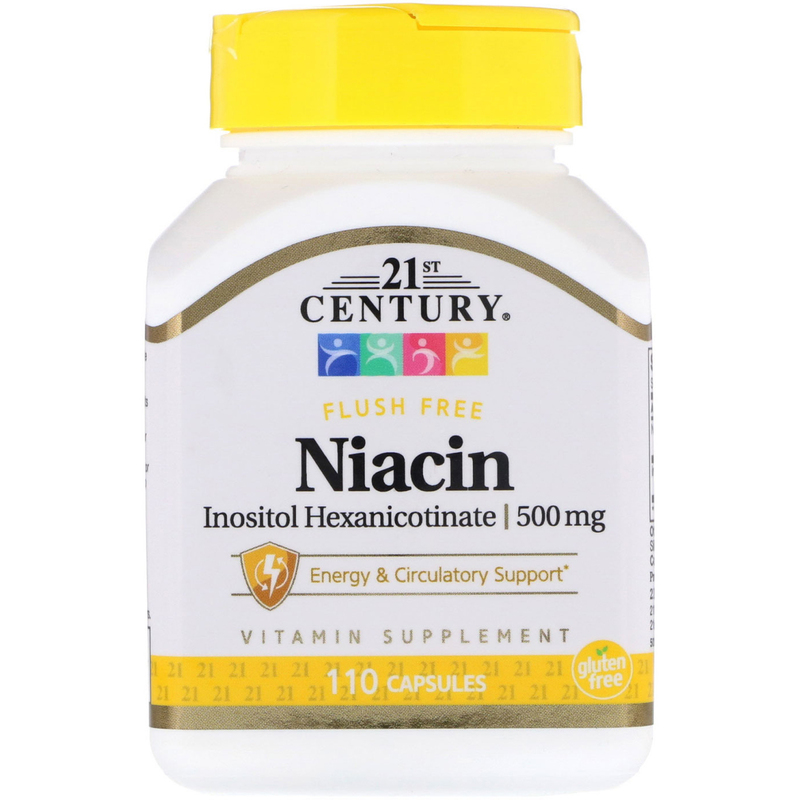 Niacin from Inositol Hexanicotinate is a good source of Vitamin B3 with a lower flushing effect than that of niacin. Gelatin, magnesium silicate, magnesium stearate, cellulose. Contains <2 of: Silicon dioxide.